With the forecast remaining warm and dry for the coming week, hillwalkers in Scotland are facing an unusual challenge – not enough water! As well as meaning people should carry more water than usual to avoid dehydration, the dry conditions make it essential that extreme care is taken to avoid the risk of wildfires. Heather Morning, Mountain Safety Adviser with Mountaineering Scotland, said: “It has been great to see so many people inspired to walk and climb in our hills and mountains in this hot and dry spell. But sunshine brings its own problems. “In fact if you were out on the hill last weekend you may have found conditions pretty hard going and unpleasant for walking up hill – sweating profusely and trying to avoid being the next meal for the influx of horse flies or ‘clegs’ which seem to be thriving this season in the hot, dry conditions. And forecasts for the week ahead suggest that most areas of Scotland will get no rain for at least the next week, with the risk of fire a very real issue. Heather said: “My advice if you are heading out in the next few days is to ditch some of the usual kit that you carry in your rucksack such as duvet jacket and waterproof trousers and swap them for an extra litre of water, sun hat and high factor sun cream. “Hydration is a real issue and the normal one litre of fluid I carry is just not adequate. At the moment I’m carrying two litres, replenishing on the hill if at all possible and ensuring that I drink a lot of fluid both before and after my days out on the hill. However, there is another issue that walkers have to consider. 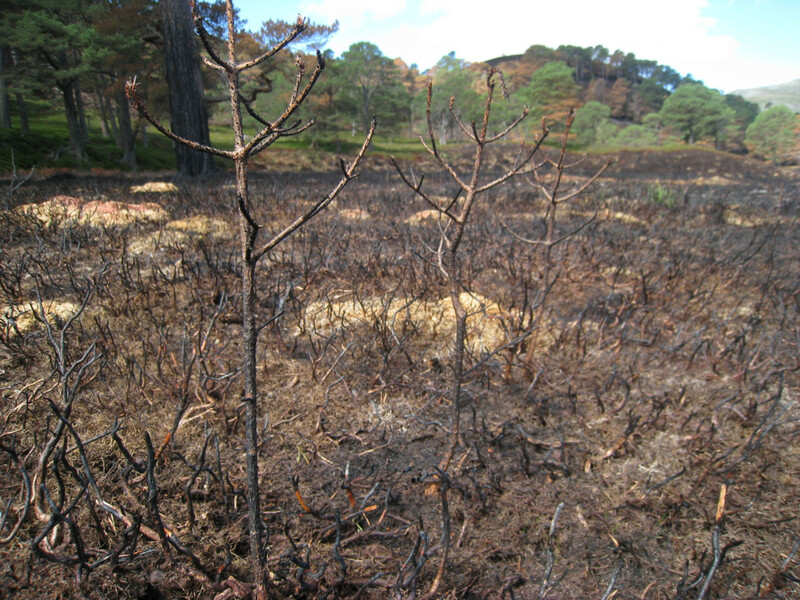 The underfoot conditions mean the fire risk will only increase, with tinder-dry vegetation and dry peaty ground.